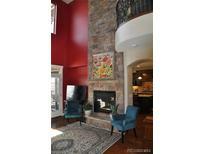 Below you can view all the condos for sale in the Verona subdivision located in Highlands Ranch Colorado. Listings in Verona are updated daily from data we receive from the Denver multiple listing service. To learn more about any of these condos or to receive custom notifications when a new property is listed for sale in Verona, give us a call at 720-606-6881. The builder spared no expense in making the home energy efficient. MLS#6918474. Avenuewest Denver Inc. Walking trails right outside, with easy access to High Line Canal Trail and Fly’n B Park. MLS#3937509. Keller Williams Executives. Across from McClellan Reservoir, Highland Canal and minutes to restaurants, golf and shopping. Active community and social events. MLS#1577188. Brokers Guild-Cherry Creek Ltd..
Come and see this stunning villa. You won't be disappointed. MLS#6811432. HomeSmart Cherry Creek Properties. For a complete description, please visit http://www.lovewhereyoulivedenver.com/property/2317-primo-road-unit-f/ MLS#6935868. RE/MAX PROFESSIONALS. One resident must be an adult 55+. MLS#7676073. RE/MAX Professionals. *OUTDOOR SPACE: Two 15'x9' Covered Patios with Views, Direct Connect Gas Grill *EXTRAS: On-Demand Hot Water, Air Purifier, Hand-Trowel Finish, 8' Doors *Buyer to Verify All Info MLS#4018933. eXp Realty, LLC. Second bedroom/full bath & Rec room in walk-out basement offers a beautiful backdrop as you sip morning coffee to birdsong! MLS#6269831. RE/MAX Professionals.